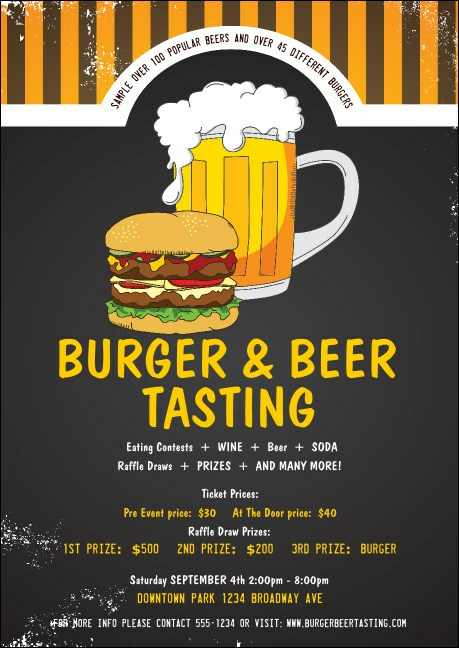 Invite fans of hops, barley and fermenting when you send out the Burgers and Beer Postcard before your next event. This design template is great for pub crawls, brew fests or your own backyard celebration. This classic design will inspire those tempted by the perfect burger or the perfect pint. Draw a crowd to your gourmet event with the right postcard from TicketPrinting.com.